On the heels of releasing the special version of fan-favorite “Ugly (Far From Ugly Edition)” and music video to support the American Heart Association’s Go Red For Women movement, Quayle is ready to share her much-anticipated new music. Quayle’s new single, If I Was A Cowboy,” charged out of the gates as a Top 10 Most Added song at Country radio (Mediabase) in its first week. The new sound impacts the country music genre with an evolved sound that reflects her authentic western roots. Steeped in cowboy imagery and baritone guitar sonics, the Montana native is anxious to hit the road and share her music with her loyal fanbase known as the Flock Of Quayle and new listeners everywhere. Co-written by Grammy-nominated hit songwriters Nicole Gallyon, Ross Copperman and Grammy-winning Shane McAnally, the song carries heavy lyrical weight. Quayle turned to Julian King, alongside executive producer and industry veteran Mark Wright, to produce the first taste of her forthcoming album (release date TBD). The trio have hit their stride in the studio blending baritone guitars with Quayle’s warm and powerful vocals drawing inspiration from the Montana native’s western roots. Named one of Rolling Stone Country’s “Top Artists You Need To Know,” Quayle is garnering attention from her high-energy live performances across the country while sharing stages with artists like Brett Eldredge, Jon Pardi, Carly Pearce, LoCASH, Billy Currington and more; her magnetic energy and booming personality grabs hold of audiences wherever she goes. She has been highlighted in People, Huffington Post, Glamour, Hollywood Life, Inspirer Magazine, Taste Of Country and Sounds Like Nashville, to name a few. 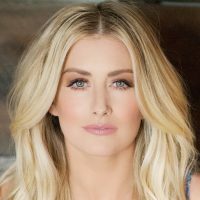 She also serves as music ambassador for Murdoch’s Ranch & Home Supply, an original store from her hometown of Bozeman, MT, and has teamed up with national brands like Kampgrounds Of America (KOA), Winnebago, Wrangler, Polaroid and more throughout multiple campaigns. Quayle is just getting started.